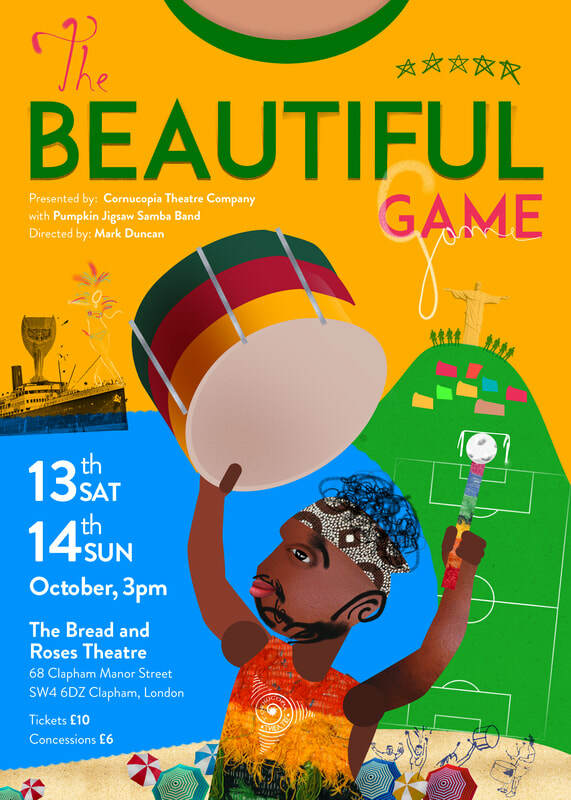 Jaw dropping ensemble theatre, dance, spectacular costumes and live Samba percussion, ‘The Beautiful Game' is an unforgettable immersive theatre piece; exciting for all. If you like football you will love this play; if you don't like football you will love this play! We bring the international spirit and legacy of the World Cup to you-so close you can touch it! The magic of the giant stadiums comes crashing into the cosy Bread and Roses theatre. Like a football match unfolding before your eyes kick off will, have you leaning forward in your seat, at half time you will eagerly await the outcome and at the final whistle you feel the euphoria of victorious carnival celebrations and demand extra time! We dive into the world cup legacy, we corner those controversial figures of football and hear their side of the story, we throw in a good dose of football action (football choreography), we tackle the politics of football- both foul play and high jinks; shedding light on contemporary sporting issues such as gender, media representation, ‘soft power’, community inclusiveness and global business. We make it our goal to enthral you! 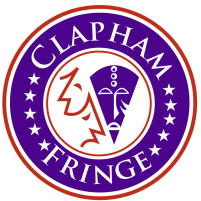 Cornucopia Theatre Company specialises in producing work that pushes frontiers whilst at the same time being popular and accessible to almost anyone. There is a carnival atmosphere especially generated by the Samba ensemble; but great playing is tempered by discipline and rules-the leader of the Samba band is the referee! Led by Mark Duncan, artistic director of Cornucopian Theatre Company with musical director Xi-Mali Kadeena-Guscoth maestre of Pumpkin Jigsaw Samba band, choreographer, designer and superb performers.